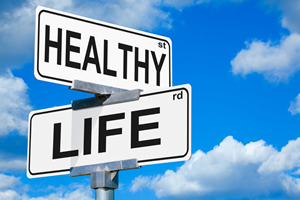 Our goal is to make it easier for you to prevent disease and protect your family’s health and well being. This is achieved through annual physicals or wellness visits that help identify health issues before they become health problems. As such, we do more than simply treat diseases. We recommend healthy choices, set up screening tests, perform annual physicals, and work with Central New Jersey’s top specialists to help you get the best healthcare of your life. For example, we can help you identify and improve problem dietary habits before they lead to obesity. Or we can help you understand and reverse high blood pressure or high blood sugar trends before these leads to hypertension or diabetes. Physicals—so important to maintaining a healthy lifestyle, routine physicals keep you and us at the forefront of your care. Immunizations—get all your families shots in one convenient place. And more—whether you see us for an illness or a regular checkup, you’ll find superior and personalized care in a comfortable setting.